Where and why was there no personal security in place? Where was the residence security? The Importance of Personal bodyguards and Executive protection for High Net individuals, in New York or Worldwide, Executive Protection is a must. Either your wealthy and famous, or wealthy and not famous, there will always be individuals outside trying to harm or take from you, it’s the nature of the human beast. New York City is a premier destination for high-powered CEOs and famous celebrities. Personal protection is more important here than in many other places around the world. NYC is home to many prominent domestic and international corporations and also home to powerful and famous people from many different sectors and industries. These are some of the many examples of why Personal Security Protection is so necessary. Being a high-powered CEO might sound like a dream job, but these positions often come with a heightened security risk. Unfortunately, CEOs are often easy targets for competitors, protesters, and disgruntled ex-employees. These are some of the many reasons to hire personal protection for business executives when you are in New York. The Stone Event Security team and Lead agents of the personal security detail will always conduct a full due diligence security plan for conference spaces and common areas before the principal arrives for their important meetings. Our New York bodyguards help executives be more productive and efficient. During meetings, security professionals can guard entry and exit points and also ensure that products and documents are properly secured. When business is going well, everybody loves the CEO. But when profits and privileges begin to fall, CEOs are often the first ones to blame. Bodyguards for CEOs are especially useful during uncertain times, when tensions and tempers are high. At certain times, it may be necessary to enlist the help of 24/7 protection to keep CEOs safe at home, at work, and in transit. CEOs are often required to travel for business, and some destinations are generally safer than others. 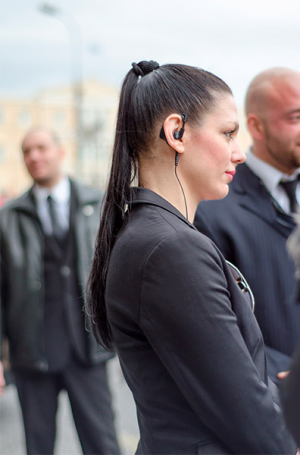 Our security specialists keep a close protection detail in place for potential attackers and securely transport executives to and from their business and leisure spots while traveling domestic or international. enjoy their events and connect with their fans. The public loves to know what celebrities are doing at all times, which has spawned the growth of the paparazzi and tabloid coverage. Our celebrity bodyguards are trained at keeping celebrities safe from aggressive cameramen and relentless tabloid reporters. 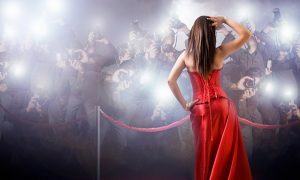 Especially when serving the needs of prominent A-listers, security discretion is crucial to maintaining the image and unique needs of celebrities in the public eye. Stalkers on the other hand, are usually not in a proper state of mind, and must be continuously observed on their movements at all times. However, celebrities are also just regular people who want to run errands, walk their dogs, and go out to lunch in peace. Our VIP security services in NYC specializes in escorting celebrities to meetings, shopping excursions, meals, work, and everyday activities. This helps celebrities maintain a sense and balance and control in their lives. At Stone Security Executive Protection, we offer personal protection services for many different purposes. Whether you need to protect a CEO, a celebrity, or anyone facing an increased security risk, we are your local protection experts in New York City. Your safety is our #1 priority, and we are equipped to handle any and all risks to help you do your job and live life to the fullest.